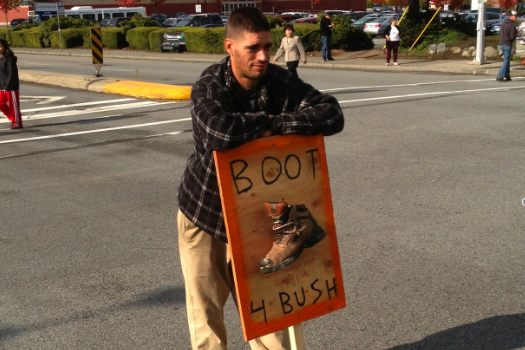 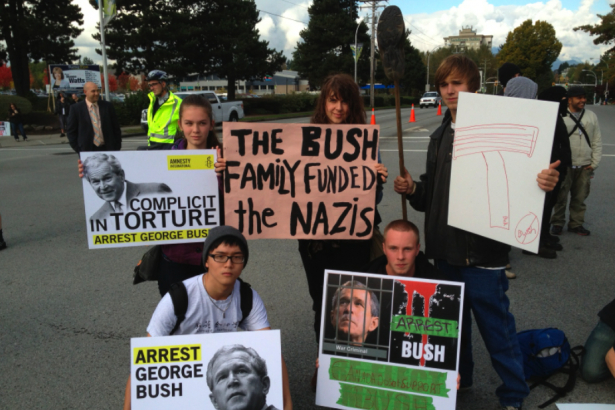 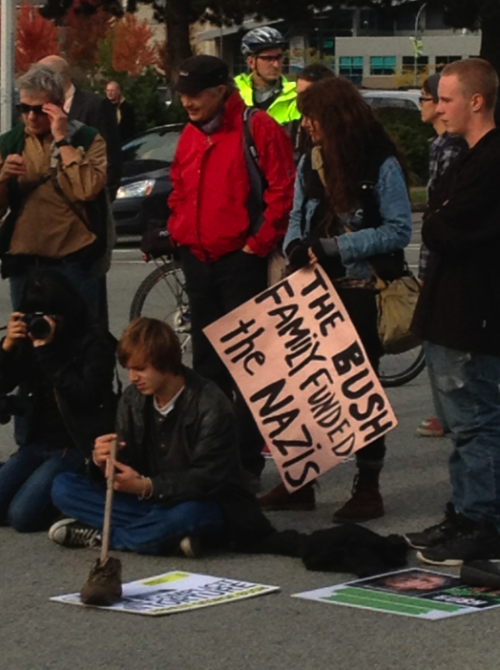 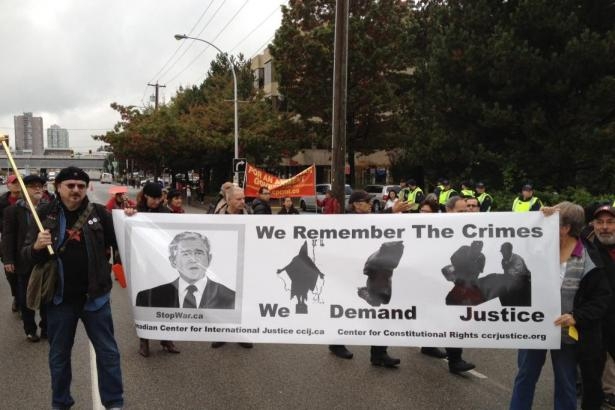 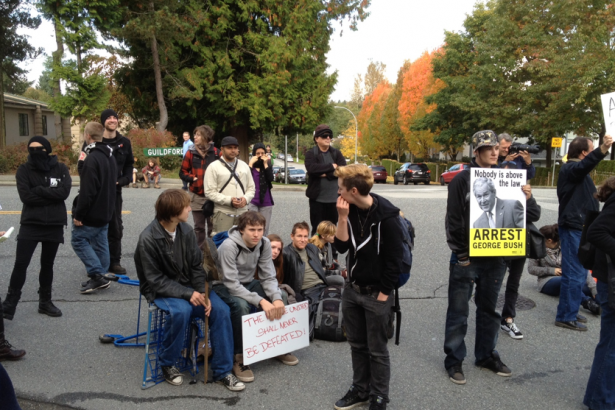 A group of about 200 protesters, many from the movement, showed up at Surrey this morning to protest former U.S. president Occupy Vancouver George W. Bush at the Surrey Regional Economic Summit. 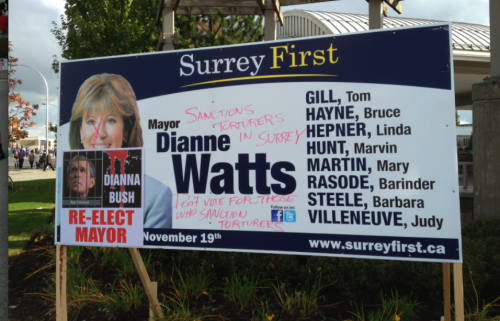 Bush is visiting Surrey with fellow former president Bill Clinton and meeting with mayor Diane Watts. 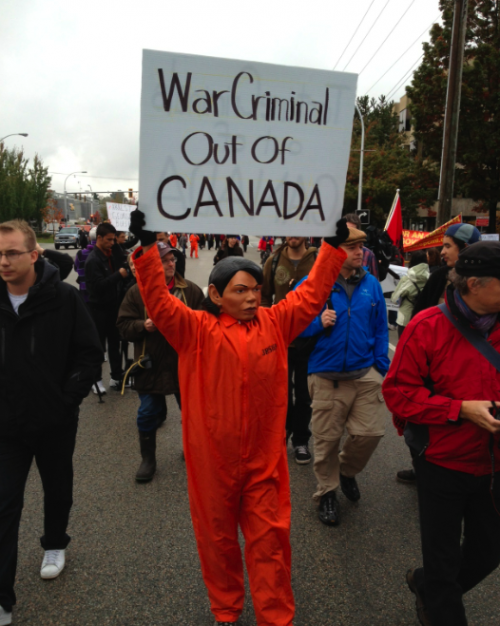 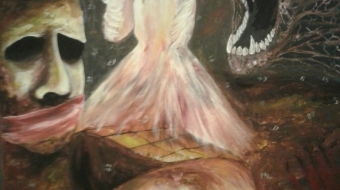 Canadian and U.S. lawyers are calling for Bush's arrest for war crimes alleged to have been committed during his time in office. 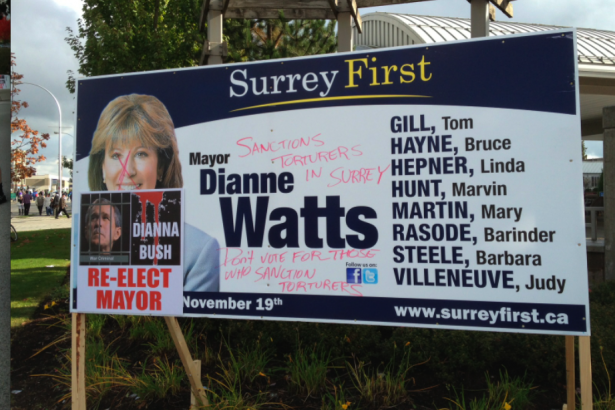 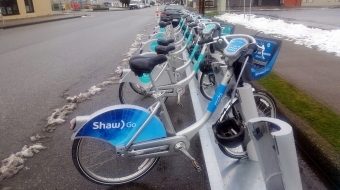 Protesters were chanting, "Shame on you, Dianne Watts!". 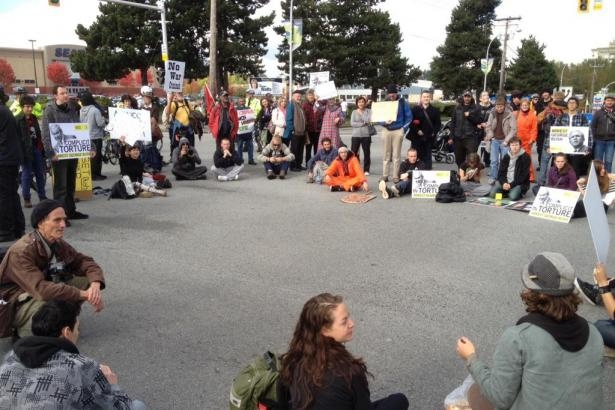 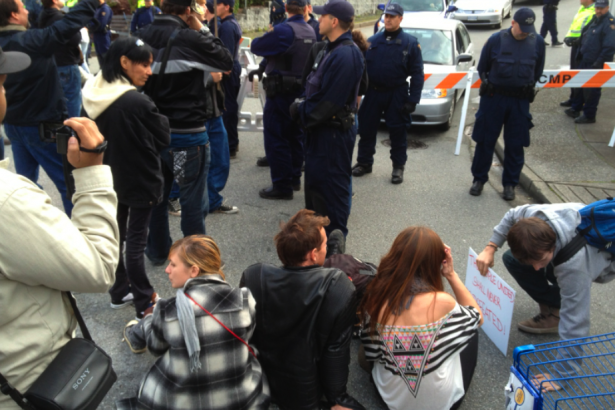 RCMP from New Westminster have reportedly been called in to keep control of the demonstrations.